Good morning and Happy Saturday! Welcome to my Favorite Finds post. I’m so happy that you stopped by to check out the awesome recipes that I found this week! Want more awesome posts in addition to my Favorite Finds posts? Be sure to stop by my Facebook page and follow along. I post great finds throughout the week. 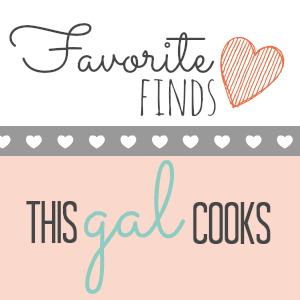 So let’s get to this week’s Favorite Finds! Lately I’ve been semi obsessed with cooking Moroccan or other Eastern inspired cuisines. When I saw these Moroccan Stuffed Peppers at Diane’s blog, Simple Living and Eating, I immediately added them to my list of recipes to try. If you’re looking for more healthy, delicious recipes, be sure to stop by Diane’s blog! Another great healthy recipe that I found this week was this wonderful Orzo Salad with Kale, Chickpeas, Red Onion and Feta Cheese. Can we say DELISH?! I love all of these ingredients and can’t wait to try this recipe. I just recently found Laurie’s blog, Love, Laurie, and so far, I’ve absolutely loved every recipe she’s shared on her blog. I think you will too! Cheesecake. It’s one of my favorite desserts. And of course, I absolutely love lemon. When I saw this New York Cheesecake with Lemon Curd over on Lorraine’s blog, Cooking for the Seven Dwarfs, I had to go find some napkins because I began to drool. Cheesecake with lemon curd? Yes please! If you love sweet treats, then you love Liz’s blog, A Sweet Baker. 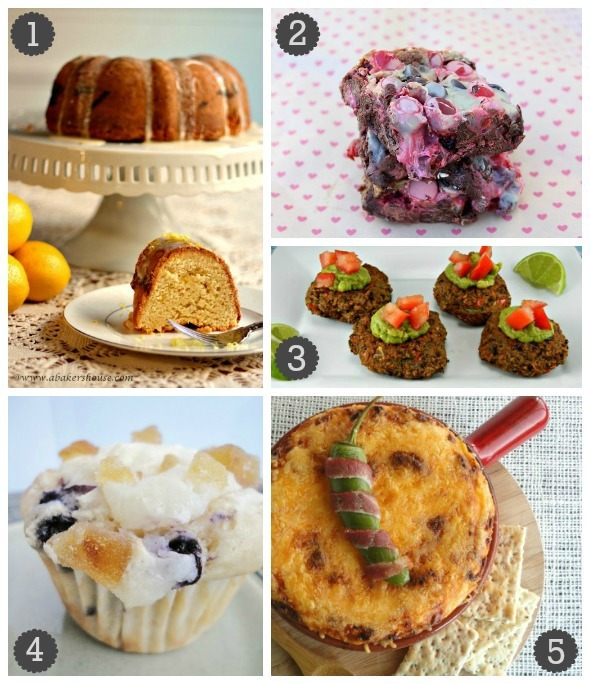 You’ll find mouth-watering cakes, cookies, brownies and muffins on the pages of this blog. I love these Stained Glass Valentines Cookies. What a creative way to bake a cookie! As you may know, the world celebrated World Nutella Day on February 5th. In honor of this day, I ate 2 spoonfuls of Nutella! Then I found these awesome Nutella Cupcakes by Sarah from Fantastical Sharing of Recipes and I was wishing I had one of them. Don’t get me wrong, I love Nutella alone but Nutella Cupcakes? That’s one fantastic sweet treat! I hope you enjoyed this week’s favorite finds. Which one was your favorite? Nutella cupcakes?! Yes please! Great picks :) I’m saving these for later & i’m sure my guest thank you in advanced. I hope your having a great weekend! Lemon curd is soooo good! It’s not used enough! Thanks so much for featuring my salad! Hope you had a great weekend!